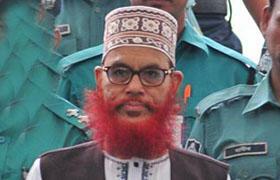 The Trial Judges appointed during the trial of D. Sayedee for alleged war crimes in the 1971 war of liberation at the Bangladesh ICT, Dakhar, have rejected Defence submissions for a retrial based on the fact that none of the Judges trying the guilt or innocence of the accused had heard the evidence against him from start to finish. In fact none of the 3 Judges currently sitting on his trial have been appointed for longer than half the sitting days. The replacements of the original trio of Judges all took place in circumstances of great controversy in which political interference has been alleged as well as allegations of improper influences upon the Court proceedings. The Decision made by the 3 replacement Judges that they can hear the final submissions of the parties again instead of hearing the original evidence is without precedent in known jurisprudence. The Prosecution evidence in the case is based entirely upon witness recollections events of 40 years ago. The effect is that the Judges will be deciding the case without having heard the evidence themselves. The Minister of Justice and the Lord Chief Justice have taken no steps to ensure that the case is fully retried. The order attached below reveals the feelings of Bangladesh ICT 2 towards the recent alleged misconduct revealed by the Economist in its expose of behind the scenes communications between Mr Ahmed Zia Uddin and the Chairman of ICT 1 who was the last Judge to resign from the trial of D. Sayedee, to leave no original Judges to decide the first case at the Tribunal. These remarks reveal how the Judges are aware of the damage to the independence and credibility of the Tribunal which necessarily establishes the Economist as having acted in the public interest, not only of Bangladesh but the international community.